EXPERIENCE THE BEST OF ALASKA AND CANADA BY LAND AND SEA. MODERN LUXURY LIVES HERE. 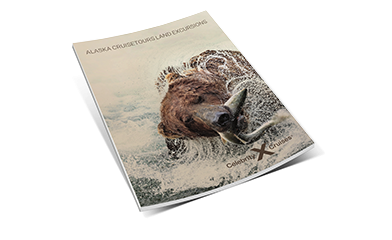 Immerse yourself in luxury as you experience the breathtaking coastal scenery and glaciers of Alaska. With miles of pristine wilderness, the Alaskan cross-country journey is just as moving as the destinations you’ll explore. On your Alaska Cruisetour, you’ll stay in the finest lodgings available in the Alaskan interior. Celebrity’s Tour Directors are chosen for their deep roots and connection to local communities. Journey into the heart of Canada on a Canadian Rockies Cruisetour. 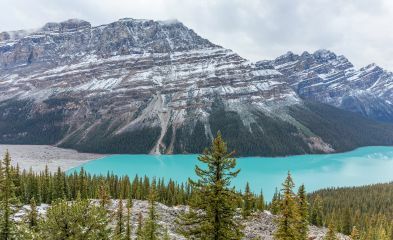 From the colonial charms of British Columbia to the dramatic wilderness, alpine lakes, and snow-capped peaks of the Canadian Rockies, you’ll enjoy some of Canada’s most extraordinary destinations. 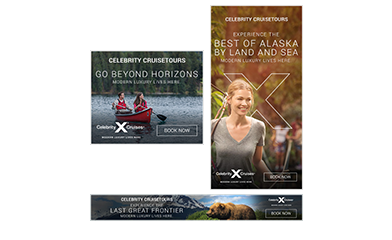 Combine it with a 7-night Alaska sailing onboard the Celebrity Millennium, Celebrity Eclipse for an unforgettable experience. Embrace nostalgic period style and mid-century flair, with an overnight rail journey aboard VIA Rail’s legendary train, ‘The Canadian’. The route between Jasper and Vancouver offers daylight views of the mountains which you can take in from the domed cars, parlor cars and your own private cabin. Enjoy a comfortable slumber in the newly renovated cabins of the Sleeper Touring Class, and every trip includes both dinner and breakfast in the dining car where fine cuisine is prepared to order onboard.